Tan Tee Jim, S.C. graduated from the University of Singapore in 1979 and obtained a Master’s degree in law from London University in 1983. In 1999, he was appointed a Senior Counsel (a prestigious appointment which is equivalent to Queen’s Counsel in the United Kingdom) by the Supreme Court of Singapore. He is one of a very few select group of Senior Counsel in practice. The elite senior counsel scheme was introduced in 1997 to recognise outstanding advocates who have extensive knowledge of the law and the highest professional standing in Singapore. Tee Jim has been involved in numerous court cases, including cases which have become landmarks in the local dispute resolution and intellectual property fields. He has written several articles on competition and intellectual property laws, and is a regular speaker at local and international conferences. A list of his cases and articles is available upon request. He is a contributing editor of several publications, including “Trade Marks: World Law & Practice, Trademark Law and the Internet, Domain Name: Law & Practice and Intellectual Property Protection in Asia”. He is also the author of the book entitled “Law of Trade Marks & Passing Off in Singapore” (Sweet & Maxwell, 3rd ed., 2014)) and the General Editor of “Halsbury’s Laws of Singapore (Intellectual Property)”. Tee Jim is a Deputy President of the Copyright Tribunal and the Income Tax Board of Review as well as a current member of the Competition Appeal Board. 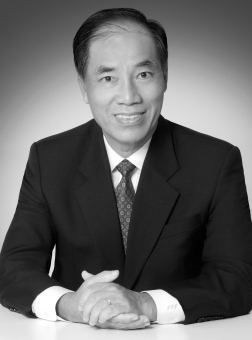 He is a founder and a Past President of the Association of Singapore Patent Agents (ASPA), a past Vice-President of the Asian Patents Attorney Association (APAA), a past President of the Singapore section of the APAA and a founding Council member of the ASEAN Intellectual Property Association. Tee Jim has also served as an arbitrator for the Singapore International Arbitration Centre, the World Intellectual Property Organisation and the Singapore Domain Name Dispute Resolution Panel. Tee Jim has been regularly cited as a leading intellectual property lawyer in Singapore and Asia by various legal publications, including The Asia Pacific Legal 500, Global Counsel 3000, AsiaLaw Leading Lawyers and Global Counsel’s Intellectual Property Handbook. He has been described as “brilliant” and an “iconic figure” in patent litigation in The World’s Leading Patent Practitioners 2013.
a major global financial services provider in making leniency applications to the CCS for suspected infringements of section 34 of the Act. Tee Jim has advised various clients on the Personal Data Protection Act and has also given talks and seminars on this subject. Staywell Hospitality Group Pty Ltd v Starwood Hotels & Resort Worldwide, Inc.
“Recent Developments in Copyright Law” at the IP Academy’s Global Forum on Intellectual Property. “Copyright Law for the Digital Age”. “Law of Trade Marks & Passing Off in Singapore” (Sweet & Maxwell), 3rd ed., 2014. “Halsbury’s Laws of Singapore on Intellectual Property”. Orders 87 and 87A in “Singapore Court Practice 2009”.